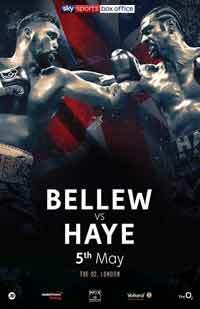 Review by AllTheBestFights.com: 2018-05-05, fight not particularly good between Joe Joyce and Lenroy Thomas: it gets two stars. The Olympian Joe Joyce entered this fight with a professional boxing record of 3-0-0 (3 KOs=100%) while his opponent, Lenroy Thomas, has an official record of 22-4-1 (10 knockouts) and he entered as the No.91 heavyweight in the world. In their last three bouts Joyce has won over Ian Lewison, Rudolf Jozic and Donnie Palmer (Joe Joyce vs Donnie Palmer) while Thomas beat David Allen and Ed Fountain but then he drew with Allen in their rematch. Joyce vs Thomas is valid for the Commonwealth (British Empire) heavyweight title; undercard of Tony Bellew vs David Haye 2. Watch the video and rate this fight!